Get the most out of your time in Ireland by exploring its beautiful scenery and historic sites. You won’t have to arrange transport, as train tickets and coach transfers are included. 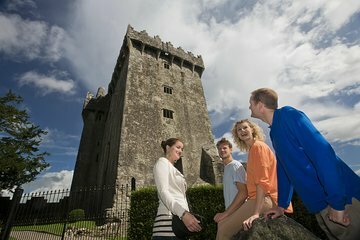 Enjoy exploring Blarney Castle, with free time to go shopping and get lunch. A city tour of Cork is also included, as well as Cobh Heritage Centre. Traveling with a guide to accompany you means you’ll learn as you tour Ireland’s highlights and you won’t have to navigate.